Just go with it. Whatever it happens to be. If you’re in Israel during the holidays for more than two nights, chances are you will be hosted by someone, either at their home or a restaurant of their choosing. Even if you end up with something in front of you that you don’t exactly recognize or understand, just give it a try. It will probably be fairly delicious. Don’t ask for recommendations from waiters at restaurants. The waiter will either put the question back on you (“Well, it depends, what do you like?”) or will recommend the entire menu. If you can read, just pick something without assistance. This is a particular issue in Jerusalem, where certain parts of the city have groupings of kosher restaurants (as in almost everywhere). The more strictly kosher, the less inventive and flavorful the food tends to be. It can even veer toward unpalatable, though it depends on the establishment. Don’t assume it’s proper to bring something to dinner. If you’re a guest at someone’s home, take care about grabbing a bottle of wine as a contribution. If it’s not kosher and the hosts keep kosher, the bottle will leave the same way it came–unopened. Every household does each holiday in their own way, depending on how religious they are, so follow the lead of your hosts. Sukkot tends to have the most festive atmosphere across the board. Restaurants won’t keep normal hours. The holidays in Israel are a tricky time for eating out, as many restaurants will keep unusual hours based around the holiday schedule. Regardless of what it says in your travel guide book or what your local friends think–call ahead. Even before spring has arrived to Israel, Haifa is one of the country’s loveliest spots to spend a few days. Locals and those too familiar with Haifa might say there isn’t enough there to keep you entertained that long, but don’t listen. It’s a fantastic spot for refreshing, foggy mornings and breathtaking views of the port. It’s far enough north of Tel Aviv to be away from hustle and bustle, but has plenty of interesting museums—of varying sizes—religious sites of interest, beaches, restaurants, the zoo, parks, and shopping to keep you entertained for at least three days. In the summer, Haifa also has festivals. For nature lovers, the Israel National Trail passes through Haifa, making for a nice pre-determined urban hiking path. Of course there’s also the incomparable Baha’i Shrine and Gardens, one of the most peaceful places on earth, with its dramatic cascading view of the golden dome and the Port of Haifa. You can also access other interesting regional spots that are nearby for day trips, such as Akko. For more about Haifa, visit their tourism website or check out my book. 1. Hire a tour guide in Jerusalem who will take you in and out of Bethlehem. Get a recommendation from one of the more established and reputable hotels for a guide, and plan as far in advance as possible. 2. Take your passport, you’ll need it to get in and out. 3. If you go during Shabbat/Sabbath on Saturday, expect more of a crowd once in Bethlehem. 4. Try your best not to drive. Either hire a taxi after you cross through the checkpoint, or hire a tour guide who will drive. 5. If you are unsure where to go, just look for Manger Square. It is the center or town, and where most shops and tourist attractions are. 6. Don’t hire a tour guide once you’re at the Church of the Nativity. They will charge too much, even though they will try to say they are registered or authorized, they might be bogus. 7. Start working your way back to your hotel about an hour before nightfall, especially if it is your first time in the area. 8. Don’t be shocked when you see numerous heavily armed Palestinian soldiers on the sidewalks. This is “normal” for Bethlehem, particularly during the holiday season. 9. If you buy anything from the shouk (open-air market) be prepared to be told that everything is “antique” which will make the price higher. Things might not necessarily be antique and the prices will be higher if you’re a tourist. Israel and the West Bank have some truly unusual offerings when it comes to music. Take, for example, upright bassist Adam Ben Ezra from Tel Aviv. Using his instrument and imagination, he sounds like an entire ensemble of talented musicians. The city of Tiberias, on the shore of the Sea of Galilee, is a mixture of charming and mysterious. It is a rather small town, but full of history. Believed to be one of the earliest settlements dating back to the early Bronze Age in the land known today as Israel, Tiberias was named in honor of the Roman emperor in 18 A.D. Just north of the city on the shores of the Galilee, Jesus taught, lived and performed many miracles, including multiplying the bread and fish and teaching the Sermon on the Mount. After the destruction of the Second Temple in Jerusalem, Tiberias was where a number of Jews fled. The city eventually became an important center of religious Jewish learning and is where the Mishna, a commentary on the Torah, is believed to have been put together by powerful rabbis of the day. In days past, the Jewish Great Rabbinical Court was also located in Tiberias. One of the city’s key treasures is the nearby natural hot springs, renowned for their curative and therapeutic properties. The springs have long been a magnet seeking improved health and beauty. Due to its history and development over time, Tiberias today is known as one of Judaism’s four holy cities. 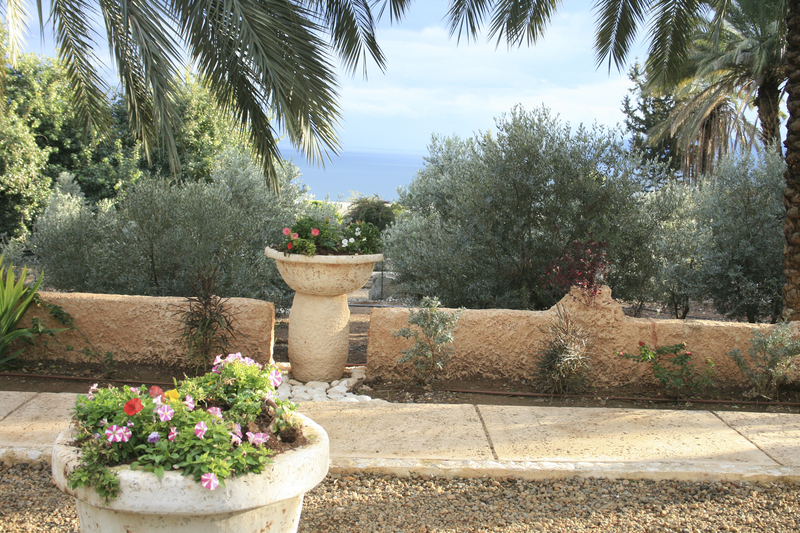 It is about 2 hours by car from both Tel Aviv and Jerusalem, and is situated in the heart of the Galilee.